Metbank and Zimbabwe Miners Federation (ZMF) Strategic Alliance was officially launched in Manicaland on Friday 19 October at Odzi Country Club. The launch served to officially inform the province’s ZMF Membership and all Mining stakeholders about the Strategic Alliance between Metbank and ZMF. 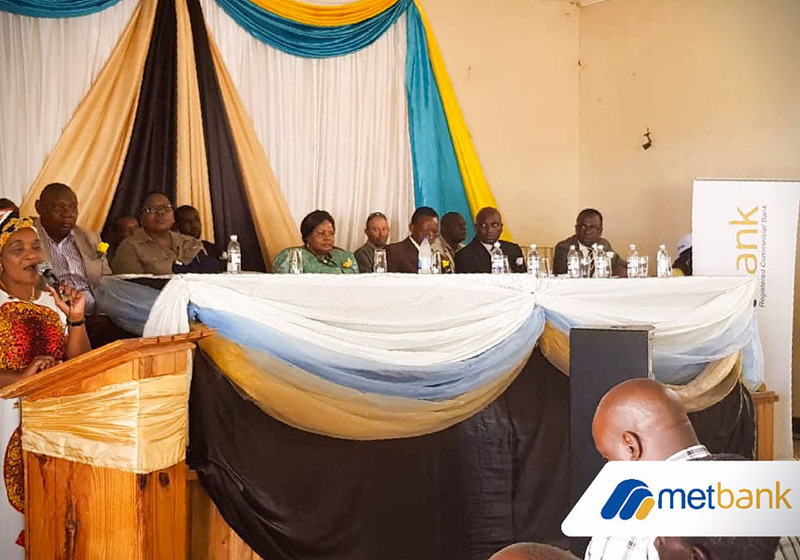 Dr Gwaradzimba, the Manicaland Minister of state was the Guest speaker and in attendance was the ZMF President Henrietta Rushwaya, Metbank ‘s Divisional Director Consumer Banking Mrs. Sarah Tembedza, together with various CEOs, Executives and Ministry of Mines representatives. Addressing attendees, Mrs Tembedza highlighted that Metbank as the exclusive financial advisor and provider of banking services to ZMF, is also promoting external mobilization of financial resources through structured deals that will enable members to access loan facilities for mining equipment. Mrs. Tembedza also enlightened the attendees on the FCA and RTGS accounts as per the RBZ’s recent directive and assured that the bank is making efforts to assure members that they will be able to access USD cash from sale proceeds to Fidelity in their various places of operation. The ZMF president emphasized that they will be working closely with Metbank to carry out due diligence in the mining sector to ensure that critical matters in management of exploration, extraction, mining and processing of minerals are well addressed while following appropriate channels and stipulated criteria in evaluating miners. Small-scale miners were given an opportunity to open bank accounts at the event. The strategic alliance with ZMF will also fulfill the bank’s financial inclusion mandate as directed by RBZ.